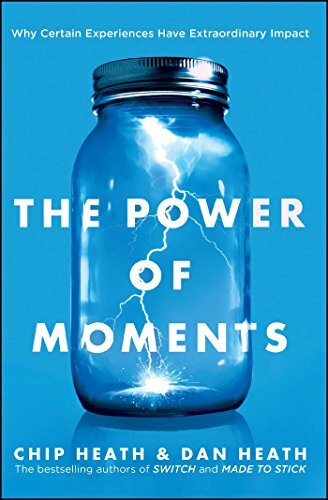 The Power of Moments: Why Certain Experiences Have Extraordinary Impact - Kindle edition by Chip Heath, Dan Heath. Health, Fitness &amp; Dieting Kindle eBooks @ Amazon.com. "The New York Times bestselling authors of Switch and Made to Stick explore why certain brief experiences can jolt us and elevate us and change us—and how we can learn to create such extraordinary moments in our life and work." "Dan and his brother Chip have written three New York Times bestselling books: Made to Stick, Switch, and Decisive. Their books have sold over two million copies worldwide and have been translated into thirty-three languages including Thai, Arabic, and Lithuanian. The Power of Moments is their most recent book."